Easter is almost upon us. It’s a wonderful time of year with the weather getting warmer, the days getting longer and the sugar consumption skyrocketing, but it’s not just about fluffy bunnies and unseen eggs. Easter is a great opportunity for brands to engage with their audiences, and every year they do just that using all sorts of weird and wonderful tactics. 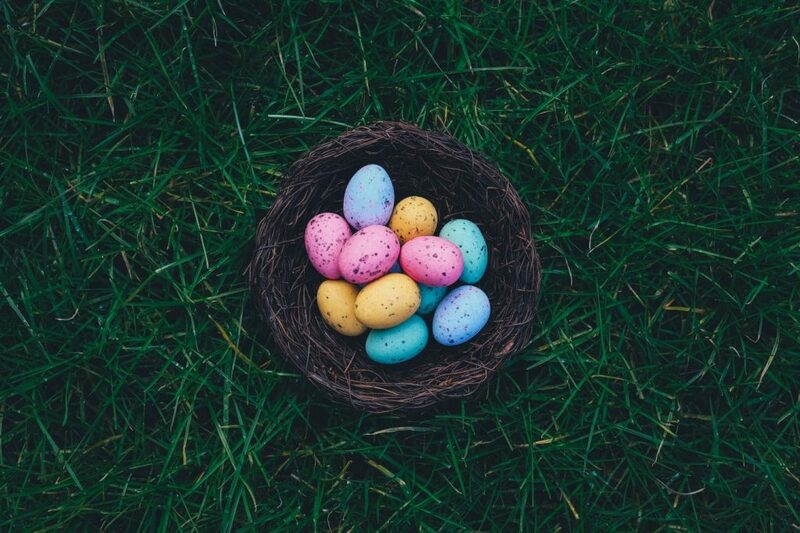 If you’re wondering how best to capitalise on the chocolate holiday, read below for our look at some of the finest Easter marketing ideas we’ve seen in 2019, followed by some tips and tricks on creating your own. With Mr Snow et al finally gracing our small screens again, it only seems fitting to kick off with Deliveroo’s Game of Thrones inspired campaign. 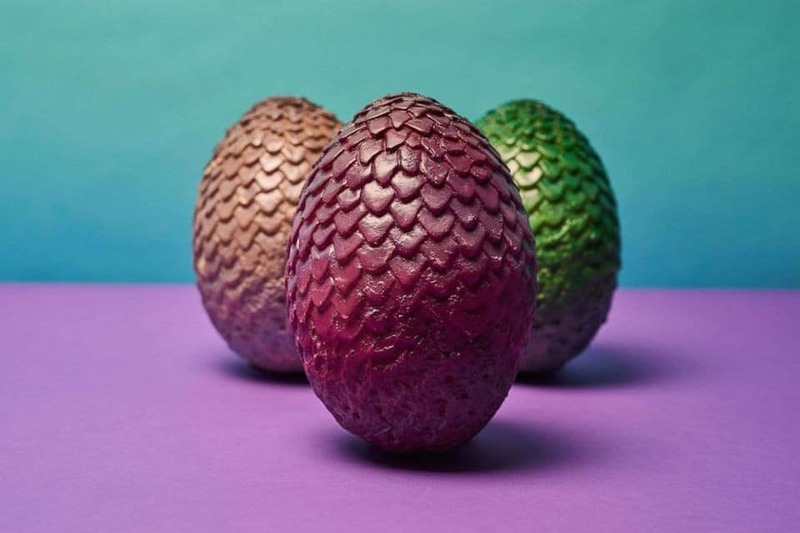 The food delivery giants are offering customers the chance to purchase a 2lb dragon egg for just 80p. Not only does this give them a huge boost due to the return of TV’s bloodiest show, but the doubleheader of the promotion being egg based and tied to Easter means that they’re winning on two fronts. This is a perfect example of a brand knowing and understanding their audience. They always receive spikes in orders during popular TV shows as people settle on their sofas and order their favourite food, and they’ve really tapped into the hype of the new season. With multiple media outlets picking up the story and new sign-ups going through the roof, this was a very smart move from the deliveroo marketing department. Whether you wanted them or not, Marmite easter eggs are a thing now. 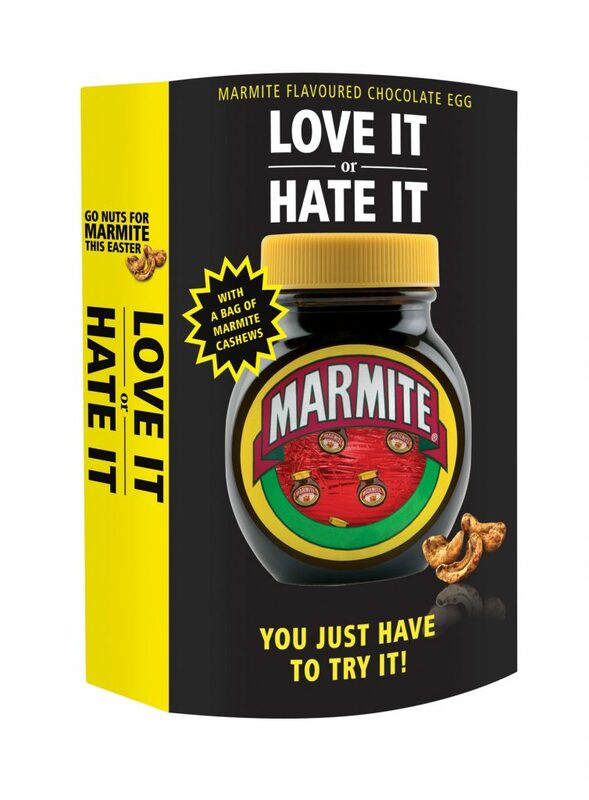 For some, this will be deliciously welcome news, whereas others will have a pretty visceral reaction to this desecration of chocolate, and that’s exactly why this is such a good idea from Marmite. Their spread has long been the subject of fierce debate in the UK, and this egg is sure to stoke the flames of the love vs hate battle, giving them buckets of visibility where they’d usually have very little. Something that brands struggle with during Easter is figuring out how to make themselves relevant. It’s easy for people like Cadburys, but what if you don’t sell chocolate? Well, take a leaf out of the masters of flat pack furniture’s book; start! 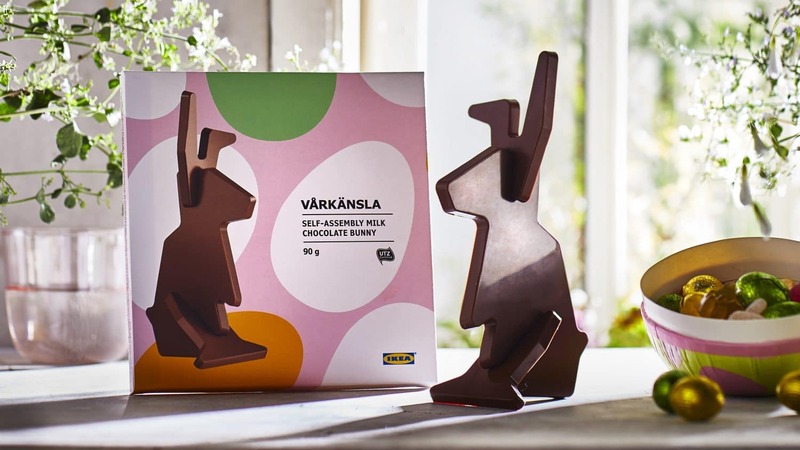 IKEA know who they are and they know what they do, and so instead of trying to shoehorn their products into Easter, they’ve brought Easter to them by creating a flat pack chocolate bunny. It’s a simple yet effective tactic that will get them some great visibility, whilst staying entirely on brand. Excellent marketing manoeuvring. 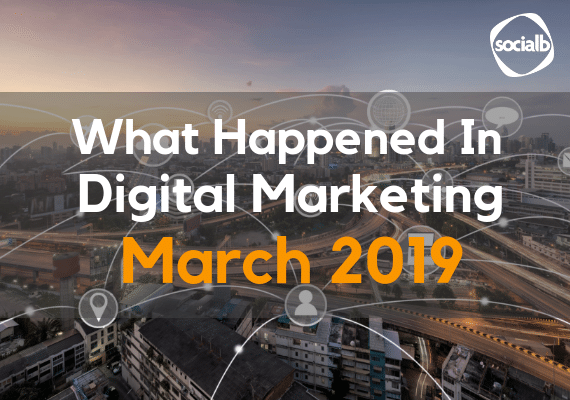 You’ve seen the cream of the crop of this year’s Easter marketing campaigns, so how do you create and implement your own? Here are some nifty tips and ideas for boosting your presence in between egg hunts. Easter is a time for many people to get together and share their joy with each other, so it’s only natural for your social media presence to reflect this and get your audience involved in some fun and engaging activities. Try using hashtags to encourage your audience to share photos, videos and comments of what they’re up to over the holiday or use a brand-specific hashtag campaign to boost awareness of your products. In 2017, Hotel Chocolat encouraged their customers and audience to take a selfie with it’s Easter mascot, The Beau Bunny. The mascot toured around 39 UK stores and the brand promoted the use of the hashtag #TheBeauBunny to promote the campaign and find customer images to share across their social media channels. Waitrose took a laid back approach to customers sharing images of their Easter weekend through their #GoodEgg campaign. Audiences could share Twitter, Instagram or Vines of food, egg hunts and family activities, whilst Waitrose used the hashtag themselves to create awareness of their donations to Great Ormond Street Hospital. The holidays are a great time to run social competitions as you can theme it around that event. The simplest competitions are the RT and follow kind on Twitter, as these are quick and easy to see who has entered. Prizes can be completely up to you depending on your budgets, this can range from an Easter egg to an iPad or even a holiday! When running a competition that’s specifically orientated around Easter (e.g. winning an Easter hamper), make sure you have the resources to deliver this in time to the customer. An Easter hamper may not be much good in the second week of May! It’s Easter, the time of ridiculously cute fluffy animals and chocolate! These two things (especially the fluffy animals) always go down well on social, so make sure to incorporate some sillier things to show off your brand personality and human side. 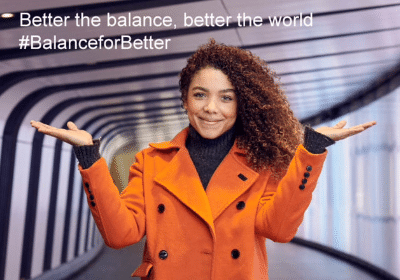 Cadbury UK have been unusually quiet this year, but in the past have used their #FreeTheJoy campaign and simply uploaded a 2 second video of a fluffy toy chick jumping up and down next to some mini eggs with the caption; “What came first, the mini chicken or the mini egg?”. Simple, cute and effective, with over 1700 likes, 234 likes and 254 shares on Facebook. It’s the holidays, you won’t want to be checking and posting to your social media accounts on the bank holiday days off, so make sure to schedule your content strategically ahead of time. 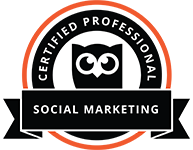 Check Twitter analytics and Facebook insights to see when your best times to post are for maximum engagement. Here’s a list of Easter-themed puns to sprinkle through your copy. But be warned, this is high-level cringe. Video continues to be one of the most valuable ways for you to interact with your audience and doesn’t have to be expensive to produce. Simple videos with minimal editing often work best to communicate with your customers. Back in 2017, Lidl created a series of videos featuring their chocolate animals on Facebook. These are simple videos which link up encouraging their followers to watch them all and to continue to their website at the end (click on the videos in turn to see Rusty the Rabbit hop between them). If you don’t sell Easter eggs or chocolate why not create a video guide to the perfect alternative Easter gift guide showing your products as the perfect gifts. What products can you showcase with video? Whether you have a bricks and mortar store or an online-only store you can still create an Easter Egg hunt to encourage your customers to visit. Hide an Easter egg or Easter bunny somewhere on your website and offer a small prize or discount for the customers who contact you to tell you where they’ve found it. This not only increases traffic to your site but also encourages visitors to view more and different pages. If you have a physical store as well as why not join forces with other local retailers and hide an egg in each of your stores. Either way, promote across all of your digital channels so that customers can see what you’re doing and can get involved. You don’t have to sell Easter products to make the most of a bank holiday weekend promotion. For most of the UK, Easter is a four day weekend and this can be an incentive to spend, so encourage customers to spend with you with special Easter promotions. This doesn’t have to involve large discounts but could be as simple as free delivery with a minimum spend or offering Easter exclusives over the long weekend. Alternatively, why not combine products together to create your own Easter basket for your customers to make an easy purchase. 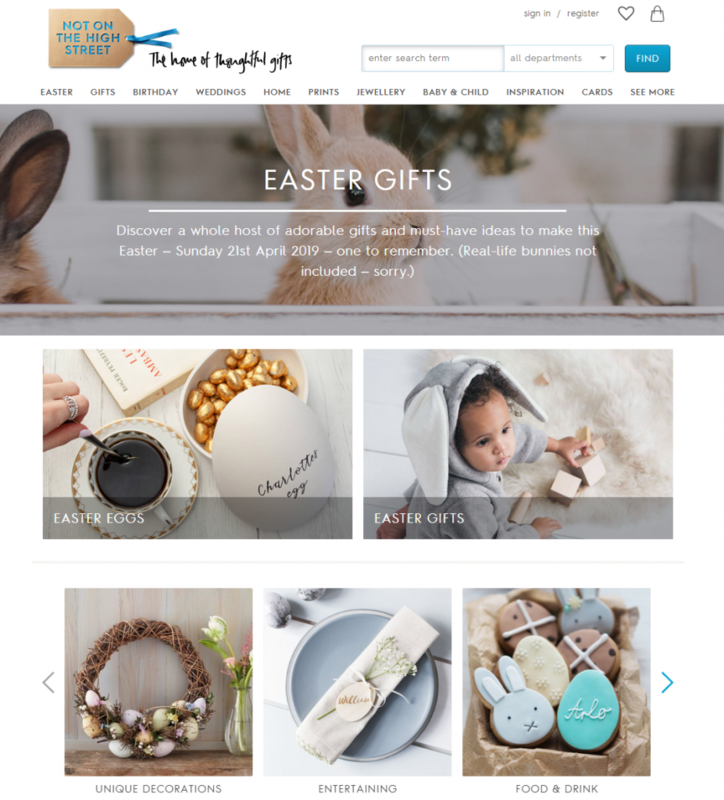 At the very least, you should edit an Easter page for your website where your customers can see all of your Easter products together. Not on the High Street have a great Easter page which shows a mix of different categories with an Easter theme. 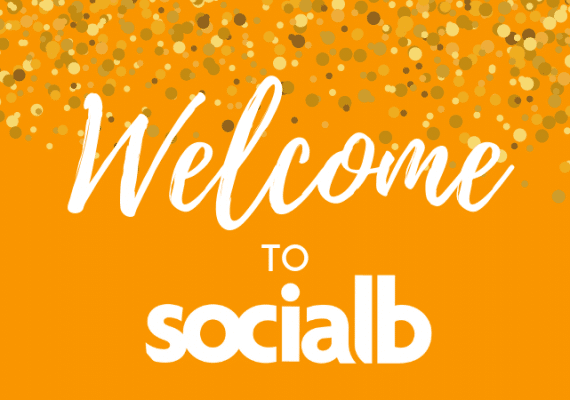 Special offers should be promoted across all of your digital channels including your banner and header images on social media so that your customers can get as egg-cited about your offers as you are! You can’t talk about Easter without talking about Cadbury’s Crème Egg. With nearly 2.5 million Facebook followers the dedicated Crème Egg Facebook page has 1.6 million more fans than the Cadbury UK page. This is even more impressive when you consider that they post for less than 3 months a year and even then only a handful of posts. They’re very good at attracting their followers by creating videos and content that really appeals. They also stress the short timescale and limited availability of the product itself, which instantly makes it more desirable – get it now or you have to go (or goo) without. So there you have it, everything you need to create outstanding Easter campaigns. What are your ideas? Let us know on Twitter and Facebook! What are you waiting for? Hop to it!